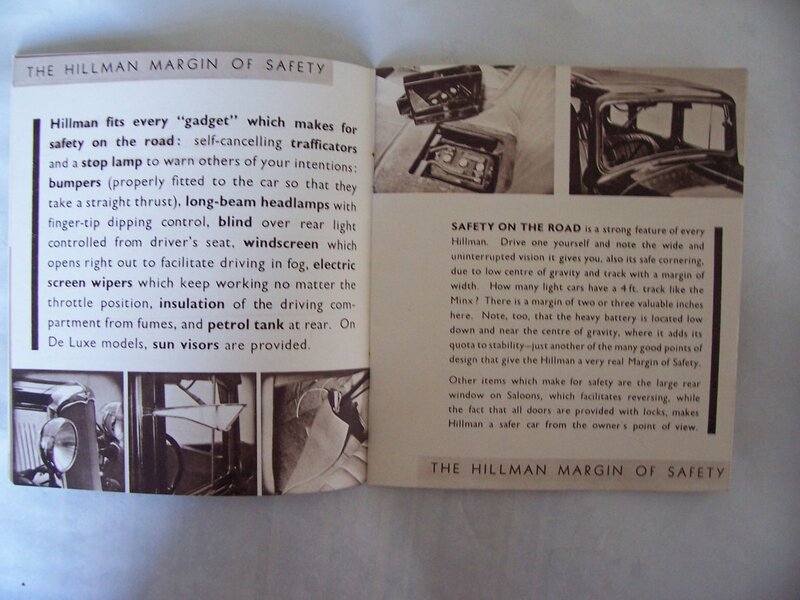 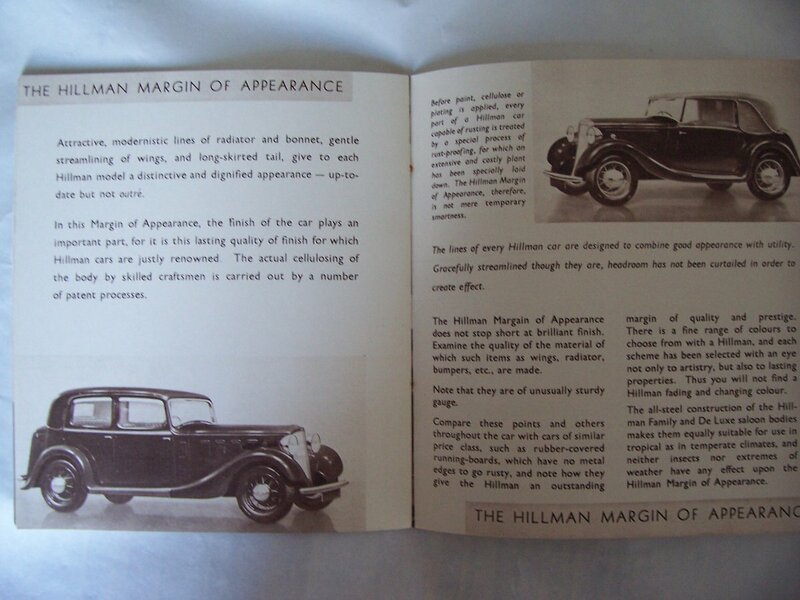 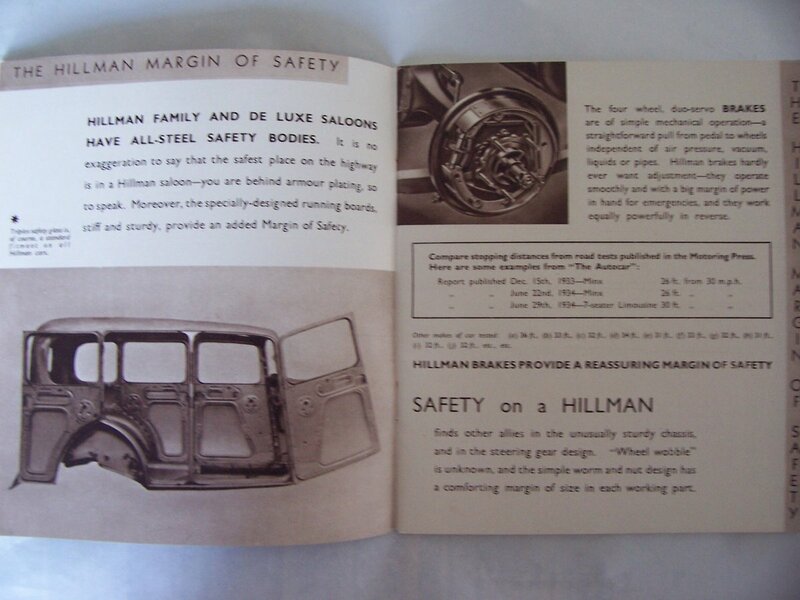 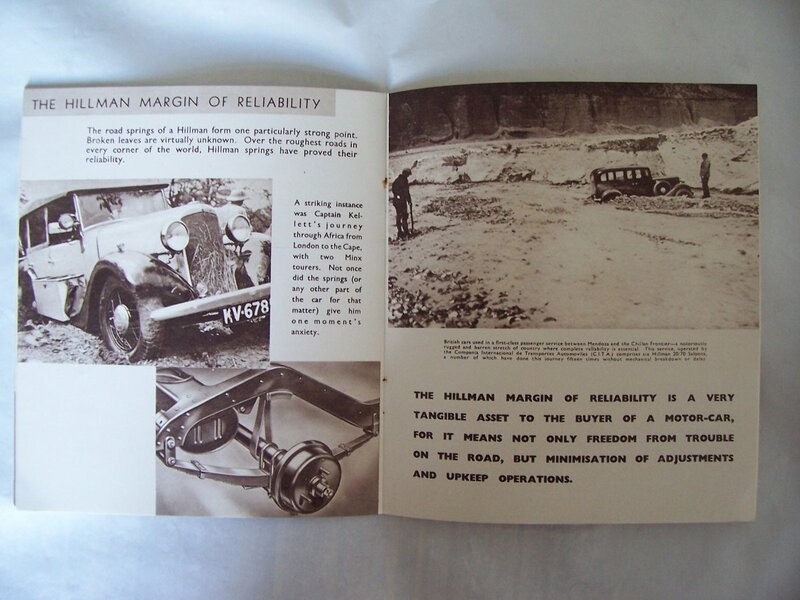 This is a Hillman promotion booklet for the 1935 Minx, Sixteen, Twenty/70, and Seven-Seater models. 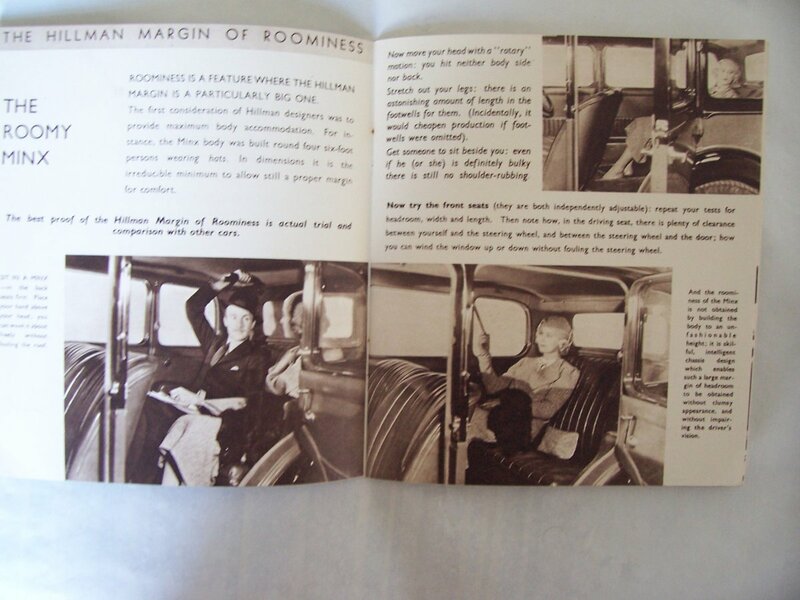 It consists of 30 pages with many photos and illustrations. 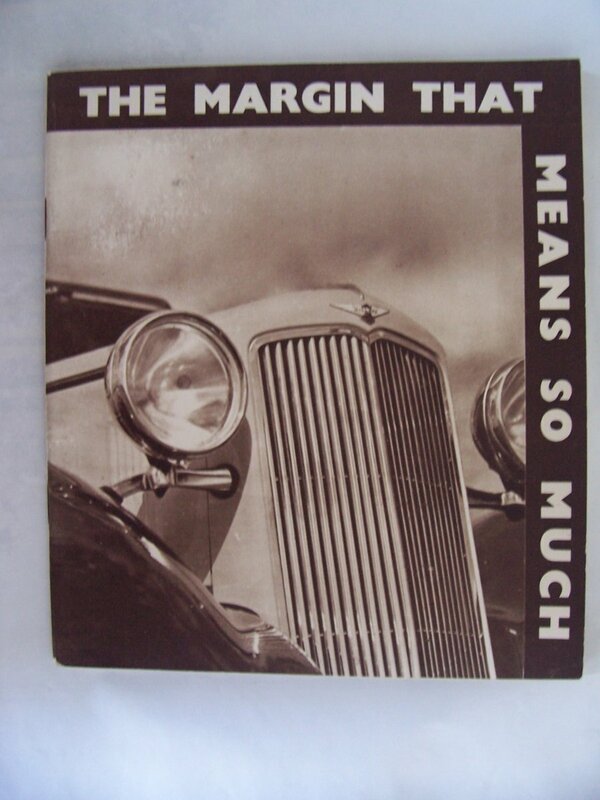 The condition, whilst not mint is very good.